The objective of the blog is to explain how we can integrate an external Credit Score Check solution to C4C Utilities. The assumption is that the External Credit Score solution exposes web services (REST/SOAP) which can be consumed to fetch the Credit Score for a customer. Create a solution in SAP Cloud Application Studio. Create a Custom BO which holds the information for external credit score. Create an Action to call the external API. Embed the Custom EC to Customer TI. Provide the required information for creation of solution. 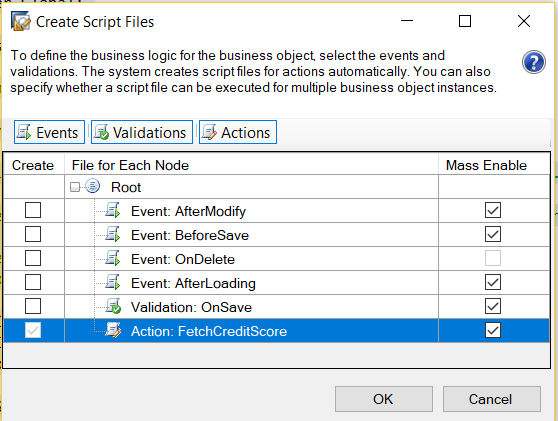 Create a new Business Object to store data related to external credit score. Add field to store the credit score check. Add Customer UUID to create a link to the Customer BO. Add association to Customer BO. Add custom action to call external API. This action would call the external API (REST/SOAP) and fill the extension field for External Credit Score with the corresponding value. To call external Web Services, please refer to the SDK documentation – https://help.sap.com/sdk. Detail documentation for Web services can be found under Developer Desktop-> Web Services -> External Web Service Integration in the SDK documentation. I have illustrated a sample implementation for the FetchCreditScore action taking a Rest based service as an example. // Get all the Customer information required for external Rest based service. //Fill URL Parameters required for the external Rest based service. // Get start position and length after parsing the result. Finally fill the value for Ext_Credit_Score. Click on Add Item and create a new Embedded Component. Add the fields Ext_Credit_Score and CustomerUUID to your data model. 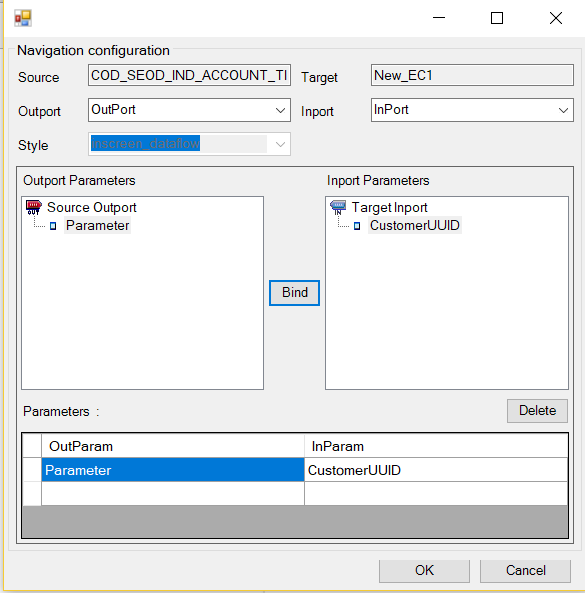 Inport is required to pass Customer UUID from Customer TI to EC. Also set the RequestFireOnInitialization property to true. This is required to fire the inport on initialization of the parent component. Also create an Event Handler EV_Read which configured for OnFire Event property of the Inport. Add BO Operation Read to read the Custom BO Instance for the incoming Customer UUID. Add a Condition on Root/CustomerUUID field. If the CustomerUUID is not set in the data model, means an instance of the custom BO doesn’t not exist for the particular CustomerUUID. Configure Operation on the condition. If CustomBO instance does not exist, then create an instance and set the CustomerUUID from the CustomerUUID filled through the inport. The event handler should be added to the OnClick property of the action button – Sync Credit Score. Note : In the above implementation, the external credit score will only be fetched on click of the button.